Dal (lentils) is one of my top comfort foods. Cooking lentils is pretty much an everyday deal for me, and typically I don’t consider it a special occasion food, or something I would like to cook for guests. But the game changes when it is Dal Makhani, which literally means buttery lentils. By no means it is an ordinary fare, but it is extraordinarily simple to cook. Of course it is not just lentils and butter, but has a host of other spices you would expect in Indian cuisine, making it a delightful accompaniment to Naan or lightly spiced Basmati Rice. Taking a tip from my sister, I pressure cooked the lentils. While pressure cooker is not essential for this, if you have it–use it, as it makes the lentils well cooked and creamy. To get the same ‘creaminess’ without a pressure cooker, you can blend 2-3 tbsps of cooked lentils and add that to the gravy. Another trick I learned from my sister is to use Red Kidney beans to lend extra creaminess. If you choose not to, just use all Urad Dal instead. And, I confess, I used only half the amount of butter usually called for in this recipe….after all this is Dal (lentils) Makhani (butter)! Cook the lentils in good amount of water with 1 tsp of salt, until tender. They should be tender enough to be mashed easily between your fingers when pressed. Save about 1 cup of this water and drain the rest. For added creaminess (as noted above) blend 2-3 tbsp of lentils, adding a few tablespoons of water. In a wide pan on medium low, add 1 tbsp of butter and 1 tbsp of oil. Once hot add Cumin seeds and let them splutter. Add ginger and garlic paste and turmeric and saute for a couple of minutes. Add the tomato paste, salt and chilli powder and cook on low for 8-10 minutes, until cooked thoroughly. Add corriander powder and cook for another minute. Add the remaining butter and when melted add about 1/2 cup water from the lentils and cook for 5 minutes. Now add the cooked lentilsl and lentils puree, if using. Add tsp crushed Kasoori Methi and Garam Masala powder. Cook on low for 20-30 minutes, stirring occasionally. Add cream, if using and turn the heat off. Serve hot with naans or cooked Basmati rice. Those are definitely the prettiest lentils I’ve ever seen. And I am definitely going to have to get a pressure cooker. I keep meaning to. Thanks, Michelle. Pressure cooker is a life saver for Indian cooking. I saw an old episode of Alton Brown, where he showcased a pressure cooker like mine—and called it ‘grandma’s cooker’..he he but it works for me! This looks really delicious, and I love dal dishes, so this is on my to do list. Even have some kasoori methi left from a previous “Indian evening”. Beautiful pics, too! Kiki, let me know how it turns out. And don’t forget to refill your kasoori methi! what a pretty dal, you can just tell that it’s packed full of flavour. Great recipe. Thanks, Frugalfeeding. You have to try it! that is one of our fav daal and that tiny pot you use is super cute and a lovely prop! Aoyv, this will satisfy your search for restaurant style stuff!! Even the cream used here is optional, but I think you will like the balance. Looks fabulous. I’ve tried just about every Makhani dish except for Dal. I don’t know what I’m waiting for! Julie, don’t wait any more. You will love this one. I have been searching for a good Daal Makhani recipe for awhile now…I was so excited when I saw you posted a recipe! Can’t wait to give this a try! This looks amazing. I need to find an Indian grocery store. I made this today..well a tweaked version. It was the best daal makhani I’ve made to date! Thx for the recipe. FYI – I believe in your recipe you don’t say when to add the cumin powder (I added it with the coriander). Also you didn’t mention what to do with the rest of the lentil water. I added it with the lentils. Asiya, you can use as much lentil water as you want for teh consistency your desire. So left that out. Good catch with Cumin…it goes along with corriander, as you did. Oh am I super excited to have stumbled upon your blog! My husband and I both love Indian food and make it occasionally at home. We have a wicked good cook book from Julie Sahni? and a number of the recipes have become standard fare. However, a few recipes from a favourite restaurant, which sadly after 20 odd years closed, have remained elusive. This Dahl looks like it may just fit the bill and I am super exited to give it a try! Do you have or know of a recipe for Gohbi be Andaz… A cauliflower and potato simmered in a masala of creamy poppy clove and fennel. It was sometimes quite spicy… Anyway, just fantastic! Very excited to try many of your recipes! So excited to try this! 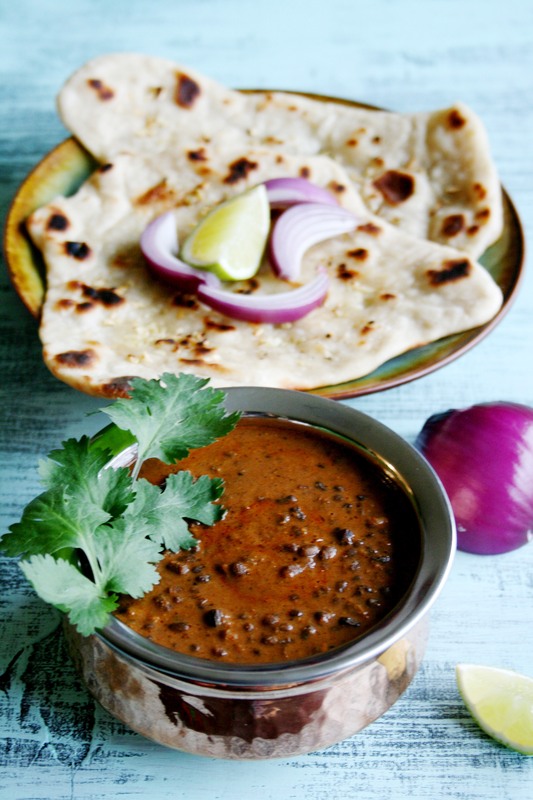 Thanks for posting (I know this is belated)…I love dal makhani and have been searching high and low for a recipe. This one looks peeeeerfect. Thanks. Please do try, you will not be disappointed. This is the best dal makhani I ever ate, it is even better than our local restaurant, which is saying a lot. Now that I have a bag of urad whole in my pantry, I will be making this often. We ate ours with Besan ki Roti, which my husband thought was great with the dal. 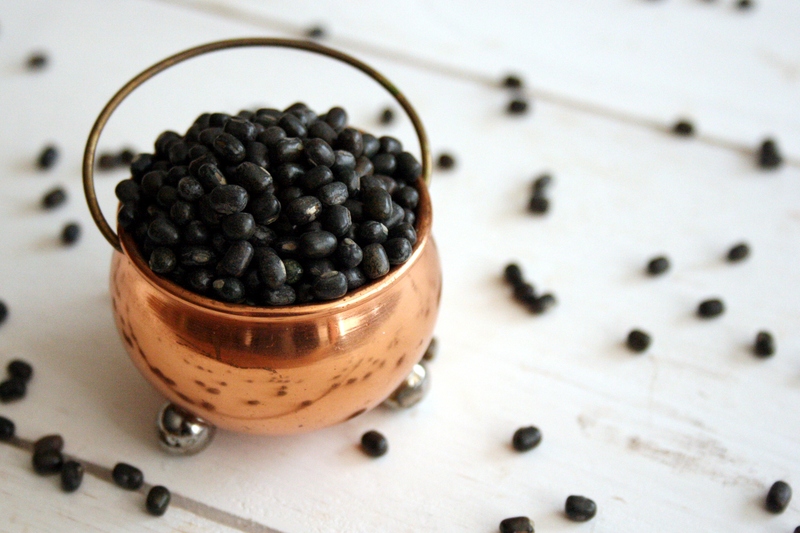 What do you typically pair with your dal makhani, and is the dal more of a side dish or main dish? I personally thought it was quite filling on its own, although I also made Besan Mirchi (which my husband was not a huge fan of), so if you have any recommendations for a good veggie dish pairing, I would appreciate that! I hope you are able to post more recipes, every one I have tried so far is amazing. I do visit severally other Indian Food blogs, and though they are good and helpful, some of the recipes are just meh; but your recipes I can always count on to be amazing. (I am also specifically looking for the definitive saag/palak with either paneer, chicken, or chana/chole) recipe, do you have one or could direct me to one?) thanks!!! I tried this for the first time last night and I’m so glad I did! 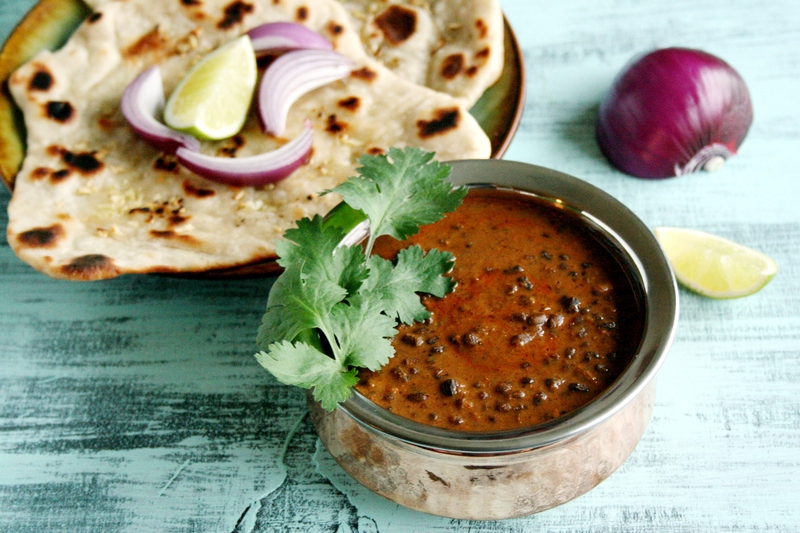 This is the most authentic Dal Makhani that I’ve found – delicious! I couldn’t find any Kasoori Methi in my town so I used fenugreek instead. Thank you very much for the wonderful recipe! WOW! My absolute favorite Indian dish and you made it so simple. It turned out so perfect! I wondered as well about the cumin and added it in at the end in the simmer stage and it was perfect. This is pinned on pinterest in my VIP board “Very Important Pins”! Definitely will be revisited often, I didn’t change a thing it was perfect! Thank you!